Applying various key signatures can be a quick way to drill commonly used combinations of sharps or flats. Tap your finger to select or de-select individual keys, or drag your finger across multiple keys. 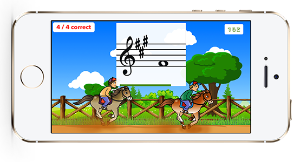 At the bottom of the screen, selecting Show flashcards with key signatures will show a key signature on each flashcard. 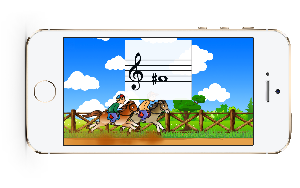 Selecting Show flashcards with accidentals will not show the note with a key signature, but will apply the accidentals from the keys you have selected. 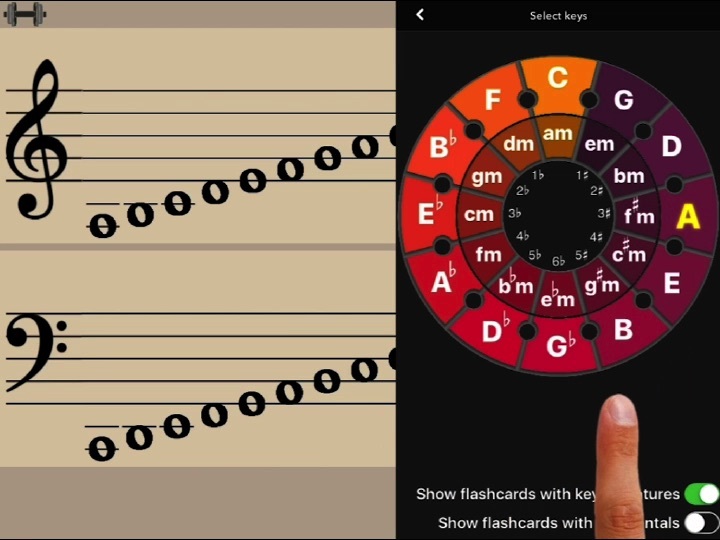 Selecting both options will result in key signatures being shown on some flashcards, while other flashcards will be shown with the same notes represented with accidentals. This feature was added in version 3.1. Remember Selecting a key signature by itself does not add any notes to the drill. It just determines which accidentals will automatically be applied to notes you select in the note chooser. 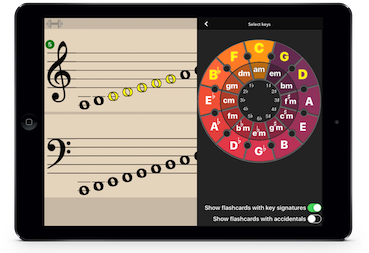 Minor keys that are selected will include both the natural and raised 6th and 7th scale degrees only if Show flashcards with accidentals is enabled in settings. Otherwise, only the natural (key signature) version of the 6th and 7th degrees will be shown. Adding C major to the list of selected key signatures will insure that all the notes in the drill will have the possibility of also being shown without a sharp or flat.